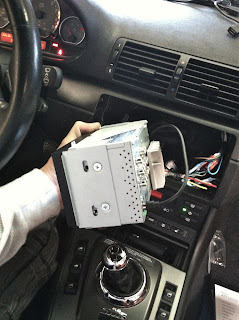 I recently did an installation of a double din in-dash stereo into a BMW M3 (E46). 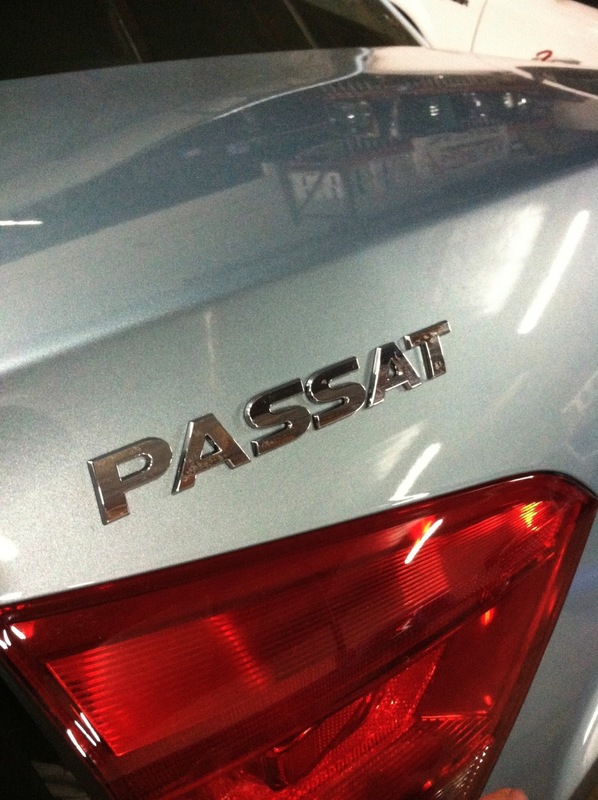 The installation went very well and sounded great. This is what the factory BMW M3 stereo looked like. I went with the new Parrot ASTEROID Smart multi media stereo, I was VERY IMPRESSED!! Do to the depth of this particular double din stereo, the installation will be a lot easier then installing a standar double din. You will not have the depth to fit a standar double din stereo, unless you modify and cut some of the components that get in the way behind the factory stereo. That is why this Parrot stereo worked out so well. 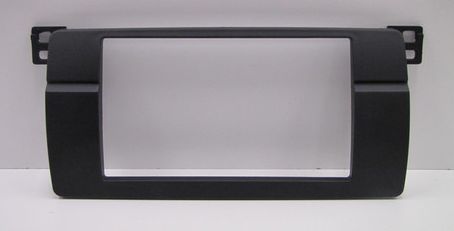 You will need some parts for this installation, starting with the double din dash kit. Here are some places you can find one. 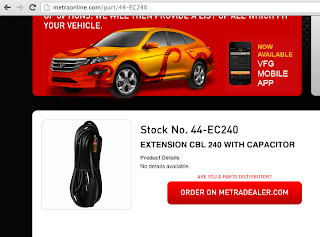 For the factory amp integration you can use the Metra 70-9003 wire harness. You will also need the Metra 40-EU10 antenna adapter in order to use the factory antenna. 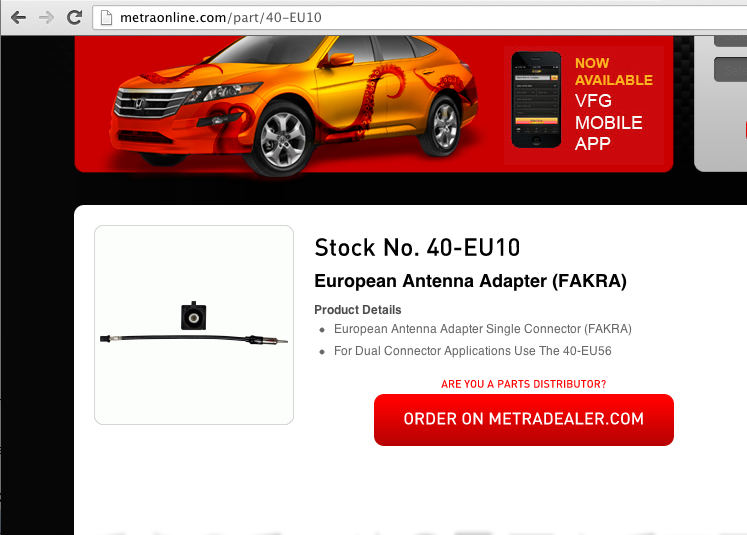 Along with the antenna adapter you will need a 20 foot antenna extension, Metra 44-EC240. Another part you may want to take into consideration is a "Steering Wheel Control" interface. 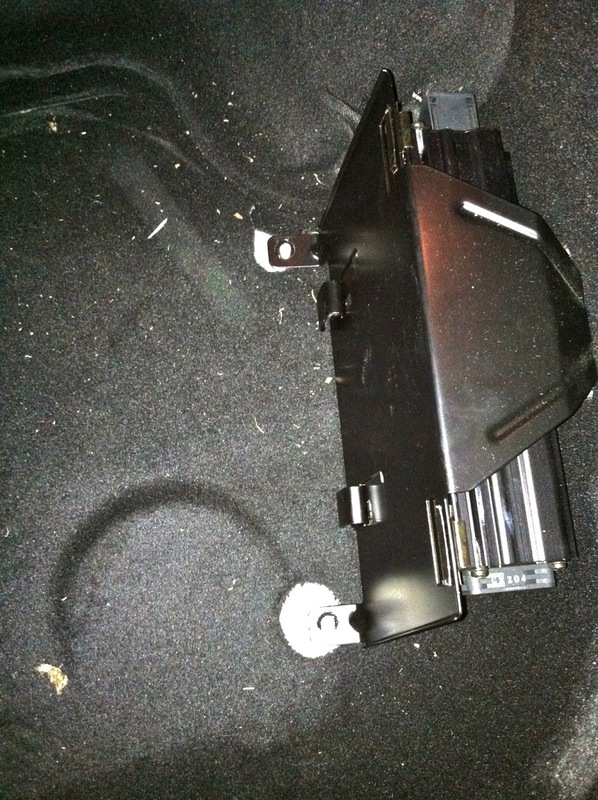 In the trunk of the vehicle on the driver side, under the trunk liner you should find the stereo tuner. 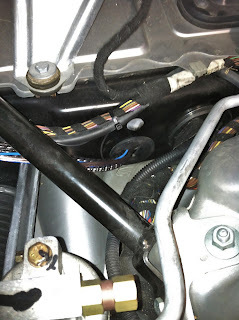 The antenna plug will be located on the top corner, you will want to disconnect it and use the EU-10 to adapt it to a universal Motorola plug. On the bottom corner you will see the reverse 70-9003 harness, disconnect it and use the 70-9003 harness to integrate into the factory amp. 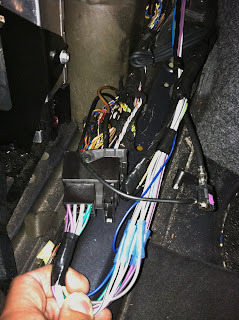 You will then want to extend the wires off the 70-9003 metra harness and run all the wires up behind the new stereo, including the 20ft antenna extension that you will want to connect to the (Motorola Side) of the antenna adapter. Make sure you connect your Blue/White amp turn on wire. You will want to use the (high) speaker level outputs off the back of the new Parrot stereo and connect them to the input wires you extended from the trunk. 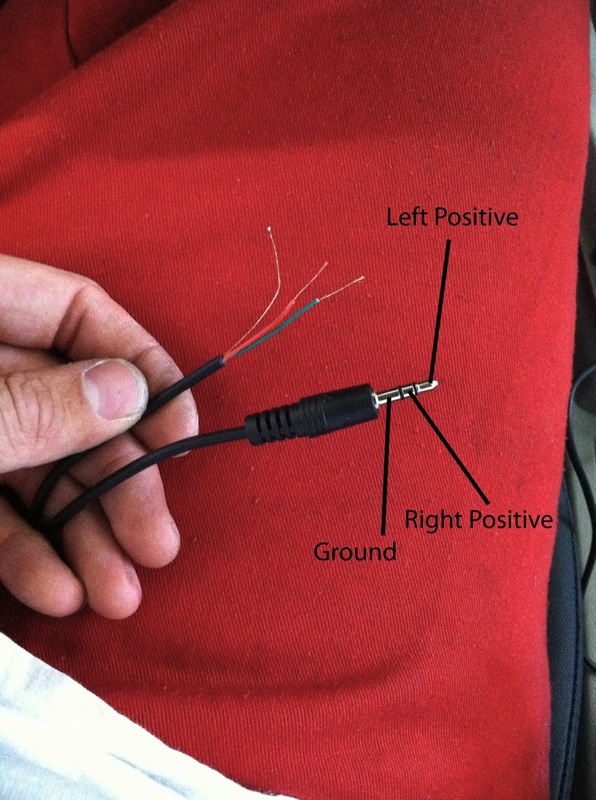 All speaker wires should be CEA color coded for easy identification. 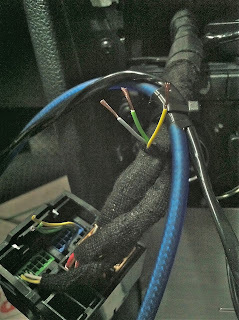 The power wires you will need to find and connect separately using a digital multi meter. If you're going to be upgrading the factory stereo in a 2013 Volkswagen Passat, and replacing it with an aftermarket stereo. You will typically lose functionality of the factory 3.5 AUX input in the center consol, unless you integrate it. 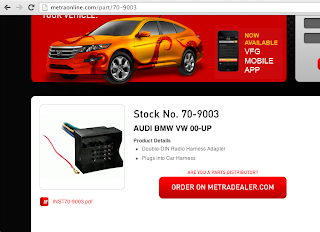 It's pretty easy, you will want to make sure the new aftermarket stereo have a AUX input on the rear. That way you will not see any wires running to the face of the stereo. The three AUX wires should be in a blue 12 pin harness, that is part of the main factory stereo harness. I recently installed an aftermarket stereo and amplifier into a 2003 Porsche Carrera 4S, it was a pretty easy install. 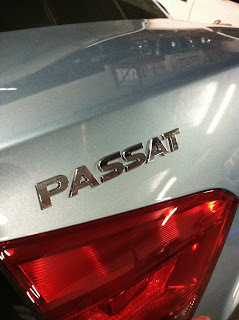 If you are going to be working on one of these vehicles, this may help you out. The factory amp should be located on the driver side of the storage compartment under the hood, right next to the spare tire. Once the spare tire is removed you should have easy access to the two 10m bolts that secure the metal braket holding the factory amp in place. I fully bypassed the factory amp and installed an aftermarket in its place. At the factory amp there should be 6 pairs of speaker wires, 2 pairs going to the front dash speakers, 2 pairs going to the front door speakers, and 2 pairs going to the rear speakers. There should also be a heavier gauge pair going to the factory subs if equipped. 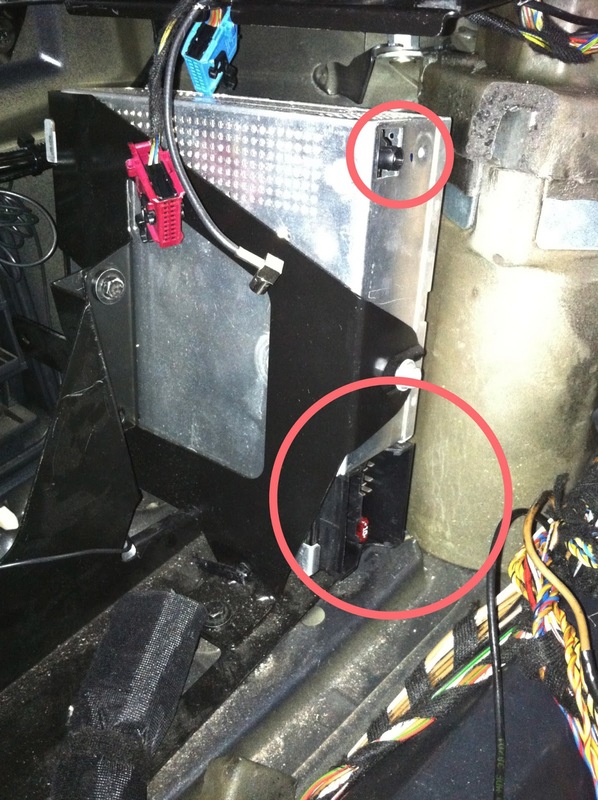 The front dash speakers, and the front door speakers should meter 2ohms each when testing the speaker wires at the factory amp. 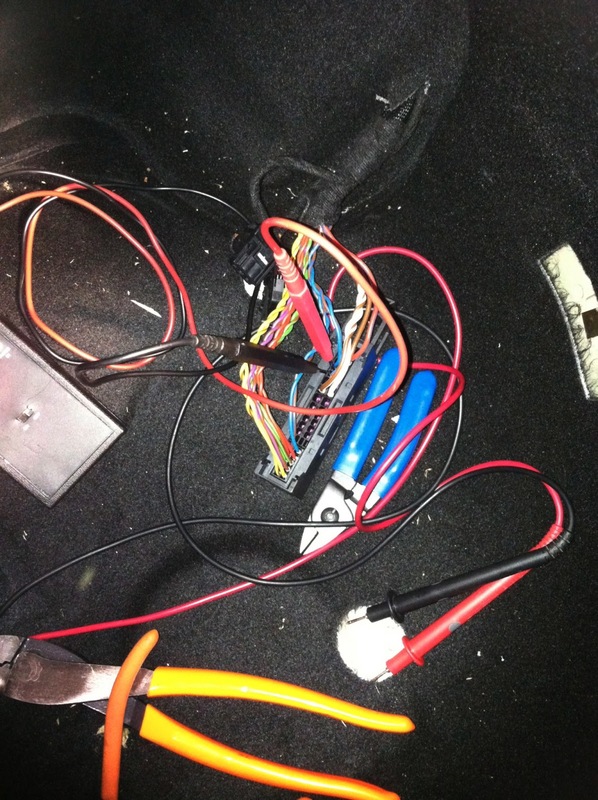 The rear speakers should meter 4ohms each. The factory subwoofers if equipped, behind the seats will typically meter 1ohm each (single voice coil). They are normally wired in parallel, so at the factory amp the pair of wires for the subs will meter 1/2 ohm. Depending on the aftermarket amp you are installing, you may need to rewire the subs in series to bring the load up to 2ohm. Once I had my speakers and subs all wired I ran power from the battery, which is only about 5 feet away. I Then grounded the amp, and ran my RCA's and amp turn on/stereo ground wires to the new stereo. 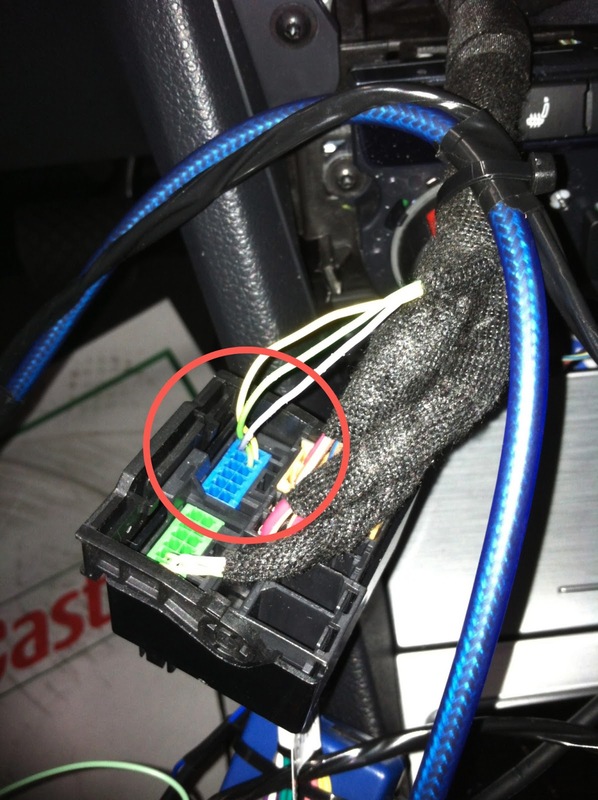 There should be a rubber grommet on the driver side firewall, where you can run your wires through. Behind the factory stereo you should have a 12V constant wire on the factory stereo harness. I used that and the ground I ran from the same grounding point as the new aftermarket amp, to try and eliminate the possibility of engine noise. 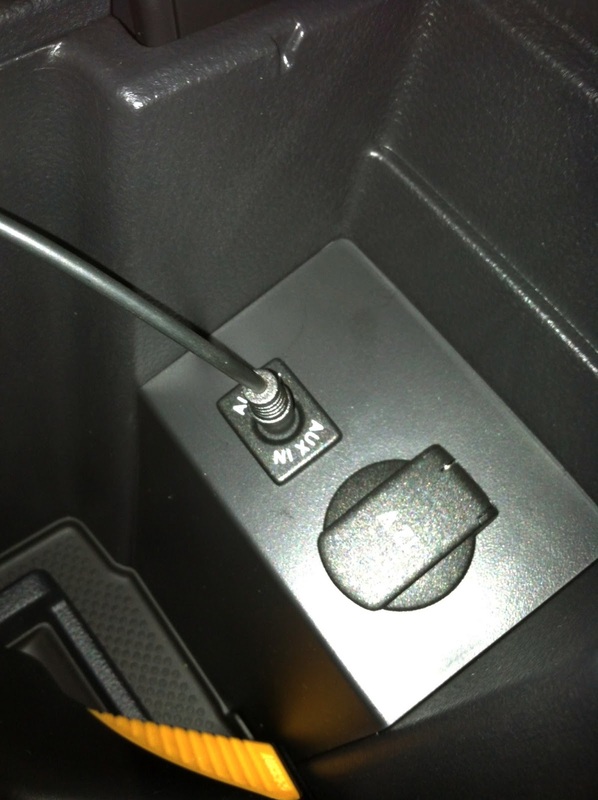 You will however need to run switched power from the fuse panel (driver side kick), or tap into switched power directly off the vehicles ignition switch. DO NOT MISTAKE THE VSS WIRE FOR SWITCHED POWER ON THE FACTORY STEREO HARNESS.